If DeVotchKa did not exist, the world of music would be a much paler, less interesting place. It’s comforting to know that from time to time – most recently every three or four years – Nick Urata and his multi-instrumentalist friends and bandmates will put something new out there, something that’s been quietly aging like a nice whiskey or a bottle of good rum. 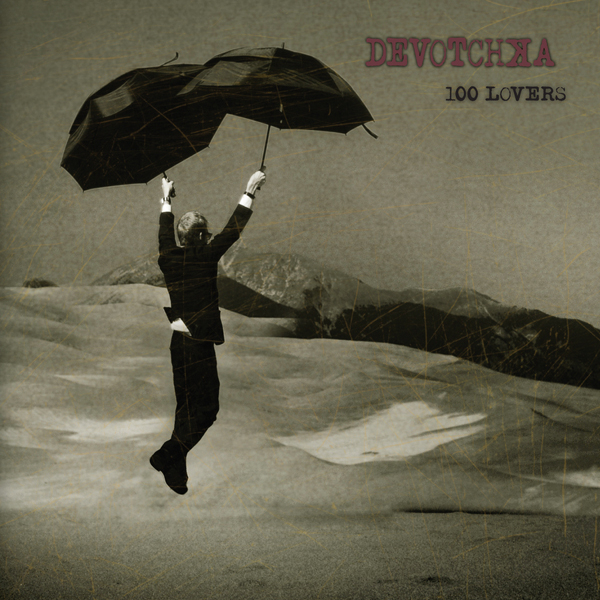 DeVotchKa’s newest full length, 100 Lovers, (officially released March 1) is a stunner of a record – expansive and wild, but perhaps their lightest and most playful record to date. Which isn’t to say the band has lost their poetic seriousness – it’s still there and quite intact in “The Alley” and “Ruthless”. But the joyous streak that runs through all of DeVotchKa’s records is a little closer to the surface, in all its heartbreaking beauty. “The Man from San Sebastian” is cinematic with a dash of post-punk (Echo & The Bunnymen-esque, even). The complex album is still sinking in, but those of you in Seattle and Portland can see the band this weekend when they hit the Northwest. Get tickets to the Saturday, March 5 Seattle show at The Paramount HERE and for the Thursday, March 3 Portland show at The Roseland HERE. –J.Price. Written by: Dagmar on 03/02/2011. Last revised by: angrytruffle, our reviewer, on 04/24/2011. This entry was tagged 100 Lovers, devotchka, posted by jessica price. Bookmark the permalink.